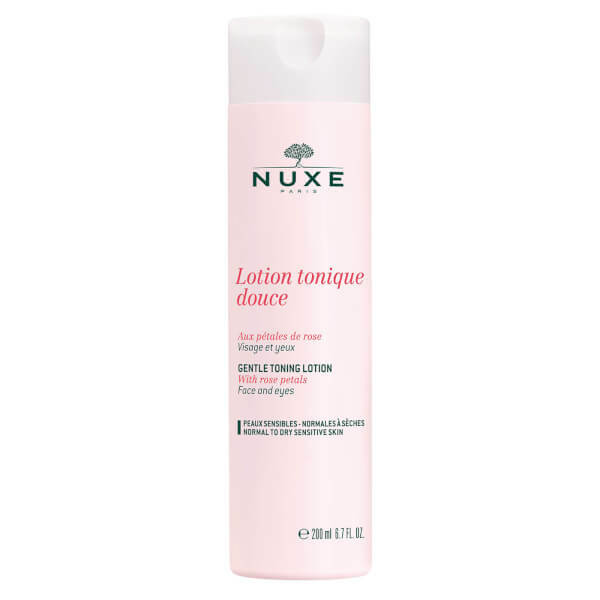 Give your complexion the specialist treatment it deserves, with the rose petal-enriched NUXE Lotion Tonique Douce - Gentle Toning Lotion (200ml). This luxurious lotion will soothe your skin and provide a refreshing boost at the end of the day. It is ideal for finishing off your make-up removal routine; as there is no alcohol in this formula, it will not dry out your skin. 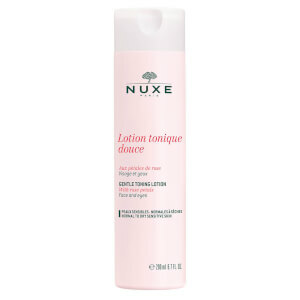 For the best results, leave your NUXE Lotion Tonique Douce - Gentle Toning Lotion in the fridge for an hour or so before you use it. Then, after cleansing, apply it to your face with a cotton wool pad. It is suitable for all skin types, including dry and sensitive.